VALLE DE GUADALUPE - El Gringo rolled with his Señorita and 6 other north of the border adventurers yesterday for our second Escape to Baja's Wine Country tour. After a quick drive to San Ysidro and a walk across the border, we rendezvoused with our tour guide Fernando Cuevas, our comfortable 10 passenger van awaiting to transport us to the Valle de Guadalupe for a day of wine tastings, great food and immersion in one of our favorite spots in Baja California. As San Diego struggled with wildfires a couple of weeks ago, the municipality of Ensenada also dealt with multiple fires due to high temperatures, early Santa Ana winds and ongoing drought conditions. The Valle de Guadalupe was threatened when the wind switched direction from east to west and brought already burning fires along the western range down the mountain toward several vineyards in the northwestern part of the Valle. Only minor damage was inflicted, largely due to the assistance of others in the Valle in keeping properties hosed down and lending a hand in controlling the fires. As we rolled into the Valle, we were relieved to see some fire scarring toward the top of the western range, but no signs of any major damage in the valley itself. Sprinkling rain a bit on the way down the coastal toll road, once we entered the Valle, the clouds parted revealing blue skies and warm sunshine. Fernando let us know that he “…ordered a nice day for us.” Gracias amigo! On the terrace of L.A. Cetto, Valle de Guadalupe. Our itinerary for the day took us to the northern end of the Valle and back. We would start with a tasting and tour at L.A.Cetto, head back down to AlXimia Winery (one of the Valle’s most talked-about vineyards), taste and enjoy Argentinian barbacoa at Vinos de la Ruta, then even more vino and queso at Sol de Media Noche, ending the day with a tasting at Vinos Fuentes. Never let it be said that our tours aren’t ambitious! Our first stop was at L.A. Cetto, Latin America’s largest wine producer. Cetto is no artisinal producer in Valle de Guadalupe. Between this facility and two others, the company produces 1,000,000 cases of wine every year…selling most of their wines within Mexico. Founded in 1926 by Don Angelo Cetto (an Italian immigrant to Mexico), the winery is now being run by Luis Alberto Cetto, the third generation of proud winemakers. The property at L.A. Cetto is expansive, and our tour included a drive up to Cetto’s hilltop terrace and bullring, which affords an amazing panoramic view of the Valle in all directions. A perfect day for wine tasting at L.A. Cetto. Fermentation Tanks at L.A. Cetto, Guadalupe Valley. Mega-tanks, megaphone, mega wine producer. Our next stop was at AlXimia, Alvaro Alvarez’s family-owned vineyard and winery, an eco-friendly, organic producer in the Valle. Designed in an eclectic, almost Escher-esque way, the main building features a curved roof, meant to redirect any rain and use it for grey water recycling. Electricity at the vineyard is produced by solar panels, and a gravity system carries wine through its various stages of development. Alvaro told El Gringo, “We are a family of scientists and artists. There is a very creative approach in what we are doing.” The winery’s roses are flavorful and fun, and their reds are hearty and delicious. We’ll be back! The eclectic, eco-friendly architectural design of AlXimia, Valle de Guadalupe. After light breakfasts and a couple of tastings, we were ready for lunch. So we headed to Vinos de la Ruta for a bit of Argentinian barbacoa and…another wine tasting, of course! Vinos de la Ruta have a cellar full of wines available from all over Valle de Guadalupe, and at the same cost that you would get them for at the winery. Every Saturday, the wine bar has a different Valle vineyard representing with a free (yes, I said free) tasting of their wines. This week, it was Villa Emiliana. All of their wines were excellent, but we all gravitated toward and bought a bottle of their Cabernet Sauvignon, which was bold yet smooth with a nearly chocolate-like finish. Sampling wines from Emiliana at Vinos de la Ruta. The cabernet sauvignon was a hit! We headed out to the shaded patio for our barbacoa of arrachera, short ribs, chorizo Español, chistorra and grilled quail, Argentinian style and grilled to perfection by an Argentinian chef on a winch-operated grill. To offset all of this meat, we were also served a lightly-grilled romaine Caesar salad. Argentinian Barbacoa on a winch operated grill at Vinos de la Ruta. Grilled Romaine Salad at Vinos de la Ruta. Next stop, Sol de Media Noche (the Midnight Sun) for another tasting and a bit of artisinal cheese. My favorite was the red, 4 chiles cheese. All cheesy, smooth goodness with a nice mordita (a little bite). This shop makes marmalades and fresh breads daily, all for sale in their shop. El Gringo’s señorita particularly enjoyed the piña and habañero marmalade. Cheese sampler at Sol de Media Noche. Mmmmm. Our final stop for the day was at Vinos Fuentes. A family-operated vineyard that supplied other Valle wineries with grapes for many years, The Fuentes family eventually began crafting their own, small-production line of wines. El Gringo met owner Miguel Fuentes who urged us to try their restaurant the next time we visited the Valle (we’ll have to take him up on that!). El Gringo with Miguel Fuentes of Vinos Fuentes. Due to a bus accident on the road from La Mision to Valle de Guadalupe, we ended up driving north to Tecate, then west toward Tijuana. As the sun set over the mountains around the sacred Kumaii peak of Cuchuma, we turned up some Joe Walsh (Life’s Been Good…) and enjoyed the ride back to the border after another great day escaping to Baja’s wine country. 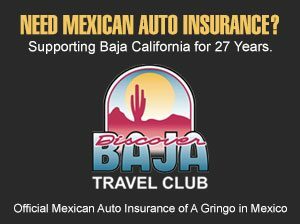 Want to join us on our next Escape to Baja’s Wine Country Tour? Get more information and schedule at EscapeToBaja.com. I drove through the wine country only one time in the early morning. There was a beautiful fog gracing the hillsides. Nothing was open and almost no one was on the road. It was an incredibly beautiful trip. One day I will return for the wine and food and an overnight. Thank you for your comment, Emilie! Valle de Guadalupe is an unexpected and beautiful surprise in this region for sure. If you ever do plan a return trip for an overnight and food, let me know and I am happy to make some recommendations! My daughter, a San Diego resident, and I are planning a trip to Valle de Guadalupe toward the end of June. We’d like to walk across the border and get transport to V de G, overnight and then the following day have transport back to Tijuana Airport where we will continue our travels. Can you give us any recommendation for ground transport and accommodation? Hola Nancy, and thanks for your comment! Private ground transportation for two all the way to the Valle can be expensive. 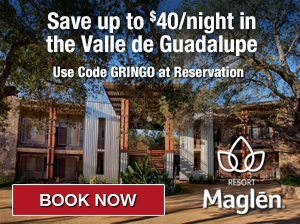 However, some of the nicer hotels in Ensenada will have a driver available to pick you up at the airport for an additional fee and can also take you on a tour of the Valle de Guadalupe. Depending on your budget, the Hotel Coral & Marina in Ensenada is a nice accommodation option and do offer ground transportation and tours. You may also want to contact other hotels to get transportation options. Since you will be here during high season, rooms in the VdG will be expensive and hard to find. I’d recommend staying in Ensenada during this time and touring the Valle from there. It’s a fairly short drive and you can also check out the town.